Hey hey friends! 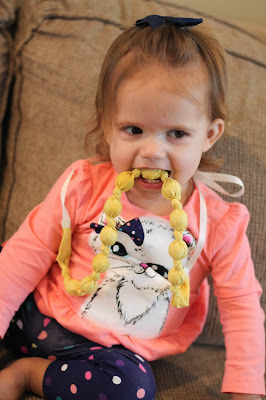 Today I'm sharing with you an awesome product for teething. Avery is teething sooooooo bad right now, like seriously, we are in teething Hell. We have never been ones to use any of those over the counter teething remedies (I'm looking at you Orajel) and I just never thought those natural teething tablets would really work. Honestly, when it gets real bad, we treat with a pain reliever, but of course that can't be used too often. Enter The Vintage Honey Shop! I follow them on IG and have always seen their nursing/teething necklaces and of course loved how cute they were! So many Mama's were always raving about them so they must do something right! I was very happy to be able to find out first hand just how great they are. Avery immediately was drawn to my teething necklace. She of course wanted to play with it and didn't get it at first that she could actually chew on it. I wasn't sure she would be into something like this, but once she figured it out, game over! She actually really loved it! And of course that made me love it. I wear the necklace on the days when I know Avery is teething pretty bad. I can tell when all she does is put her hands in her mouth and acts extremely needy. We sit down on the couch together and I let her have at the necklace. 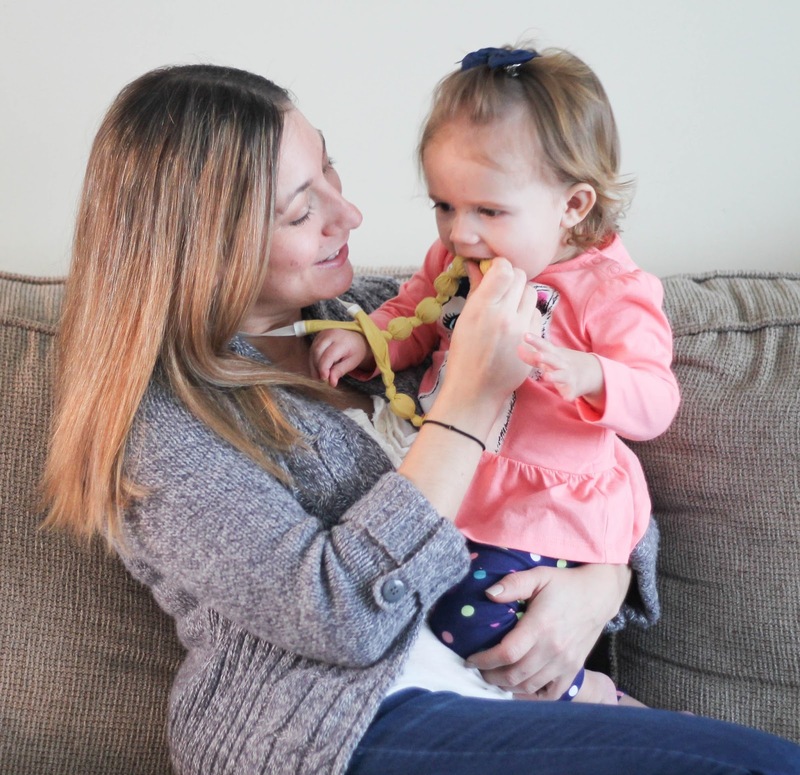 What's also so great about these necklaces is they are not just for your teething baby! They can also be used during feeding time! They can help keep mama from being scratched & pinched while nursing or bottle feeding. The necklaces provide a focal point for baby, and give them something to play with and grab onto while being close to your heart. Another benefit of this teething necklace is that it's cute enough to wear out. Now if we're out to eat or at a birthday party and Avery is clearly miserable from her teeth, I can easily have this on hand to wear and help give her some relief.